The 6000 SERIES EPOXY/ POLYESTER HYBRIDS combine excellent decorative appearance with superb protective properties and is recommended for indoor applications. Typical applications of our 6000 series would include automotive accessories and automobile underbody parts, office furniture, power tools, sporting equipment, metal shelving, display racks, and electrical components. The 7000 EPOXY SYSTEMS yield excellent chemical resistance and superior mechanical properties and like the 6000 series, they are recommended for indoor applications such as automotive accessories and automobile underbody parts, office furniture, power tools, sporting equipment, metal shelving, display racks, and electrical components. The 8000 SERIES URETHANES provide very good resistance to chemical and corrosive conditions and superior resistance to color and gloss change in areas of sunlight exposure making them a good choice for interior or exterior applications. 8000 series uses would include applications to numerous automotive accessories and underbody parts, architectural products such as aluminum extrusions, patio and lawn furniture, farm equipment and garden implements, sporting goods, and playground equipment. The 9000 SERIES POLYESTER (TGIC) SYSTEMS offer similar mechanical properties to epoxy and epoxy/polyester hybrid systems. However, the 9000 series is recommended for both interior and exterior applications and are also suitable for thick film applications. Use this series in many of the same instances as with our 8000 series. For full performance comparisons refer to the chart below. For more information like this, please see or download our powder coating technical guide on our website. Why Pretreat for Powder Coatings? Any given metallic surface has a layer of dirt, oil, mill scale, etc. that must be cleaned and removed prior to powder coating. A coating will not adhere well to a contaminated surface and will result in poor performance, thus making proper pretreatment necessary. Pretreatment is the base for powder coating. The highest quality powder coating will show you excellent results ONLY if the pretreatment is done correctly, maximizing the benefits of powder coating. The results of improper pretreatment include appearance of oily patches, pin holes, rust patches, reduced resistance to weather, and overall poor powder coating performance. Have a question about pretreatment? Contact our technical help today for advice from an expert, or you can always reference our trouble shooting guide online first. DuPont™ PFA powder 532G-13032 is a filled version of PFA powder coating specifically formulated for durability and abrasion resistance. DuPont™ Teflon® PFA 532G-13032 is a powder topcoat with abrasion resistant fillers. This is an extremely abrasion resistant coating that is often used as one of the layers in a multi-layer coating with a topcoat of 532G-5010 or 532G-5011 for smoothness. This light grey coating is applied electrostatically with hot flocking, uniformly coating various shapes with a thin film. DuPont™ Teflon® PFA 532G-13032 is FDA approved. For more information on DuPont™ Teflon® PFA 532G-13032, visit us at Intech Services. TCI is a premier provider of Custom Powder Coatings. We stock over 300 products available in a variety of colors, textures, and effects. Any of our products can be customized to fit your exact specifications and project requirements. If you have a unique application, our custom powder coatings may be exactly what you need. Not sure about the best coating for your parts? Contact us today and our experienced team will be happy to assist you in engineering the most effective coating to meet your specific requirements. TCI Powder Coatings was an exhibitor at the 2015 Powder Coating Show last week put on by The Powder Coating Institute in Louisville, KY, and it was a huge success! This two day trade show featured more than 100 leading manufacturers, distributors, suppliers, and contractors. TCI employees staffed booth 228 and were able to interact with a variety of industry professionals and showcase their new product lines, most notably theTruAnodized line. This AAMA 2604 approved product line is an excellent replacement for anodized products and eliminates color variation problems commonly associated with anodizing metals. In addition, TCI shared a booth with their alliance partner, Intech Services. 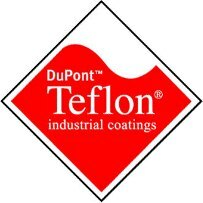 Intech is the sole distributor of DuPont™ Teflon® industrial coatings in the US and Canada and also handles TCI's small packaging program, TruPak. Intech employees were able to educate attendees on the benefits of small packaging, particularly for the custom coater market. 10000 Series Superior Exterior Performance TGIC Polyester Systems are formulated to meet the requirements of the AAMA 2604 specification and are great for architectural markets. Products in this series are extremely durable and have superior weathering characteristics. 10000 Series powders are available in a broad range of color and gloss formulations, and are excellent at retaining their color and gloss even in exterior applications. Proper chrome or non-chrome pretreatment is critical to ensure products will meet the 2604 specification. We're at the Powder Coating Show! We are exhibiting TCI Powder Coatings products and services at the Powder Coating Show. This is the only trade show solely dedicated to the powder coating industry in North America. The Powder Coating Show provides opportunities to meet and interact with leading industry professionals and is a great forum to learn about new products as well as the latest in powder coating innovations and technology. If you are at the show, please stop by out booth #228 to learn about TruAnodize AAMA 2604 architectural coating, TruIllusion special effect powders, the TruCoater™ Network, and TruPak small packaging. Be sure to stop by to get a special show discount coupon for TruPak! Kricket Barineau has been a dedicated employee of TCI Powder Coatings for the past 10 years. 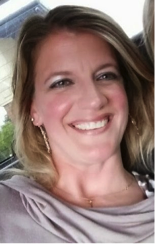 Currently Kricket works in the Human Resources department in payroll and benefits. Hands down, Kricket’s favorite part about her experience at TCI are her coworkers. She says, “Since walking in the door, I have been made to feel like family here. The individuals here will help you, work with you, and even pray with you. Many great friendships have been made through this organization that I know will last a lifetime.” Kricket also finds great satisfaction helping others in her Human Recourses roll at TCI. Kricket resides in Ellaville, GA with her husband Greg and two children, son Lorne 14 and daughter Lizzie Klaire 9. In Kricket’s free time, she loves attending her children’s activities. They keep her running with travel baseball and softball, football games, and gymnastics meets. She also enjoys cheering on the FSU Seminoles! Thank you Kricket for your great service!